People ask me about teaching their babies sign language and if it can really be done. YES! As an ASL interpreter, I understood the benefits of early language and wanted my son to have every advantage so I started signing to him the minute he was born. I clearly remember Elijah (my son) signing his first word “more” at the age of 5months. I was distracted feeding him his banana and he hollered at me. When I turned around he was signing “MORE, MORE MORE”. Needless to say he got more banana! That was a huge turning point for him linguistically because he really got it that I understood him. His other favorite ASL words were “airplane” because we lived under a flight path and “ambulance” – his father was a Paramedic at that time and, of course, “Mom”. 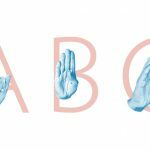 If you’re interested in learning basic sign language and would like to teach your baby to communicate using some simple and basic signs, you’re in luck. There is a wealth of resources on YouTube including the link below with resources for you to check out and learn. As always, if you have more questions about sign language, ASL, or interpreting we are here to help. Please reach out to us anytime. This video follows 1 little girl as she learns ASL as a baby up to 2years old. So precious to see her grow linguistically.